Keeping a motivation journal can help you in so many ways they’re hard to list in this short space. If you’ve ever kept a diary or any other journal you know what it’s like to make this sort of commitment. Making daily entries into your journal is like talking to a friend. In a sense, your journal is your friend that you can tell anything and always know it’s confidential. If you’re concerned about anonymity don’t put your name in it. A motivation journal will help you think positively and creatively. It will help you develop new skills and increase confidence as these skills evolve. By writing your activities down, you crystallize your thinking and your goals allowing you to act with greater self-understanding. As you discover yourself, you may become aware of things that need change. You may also discover that you’re a pretty wonderful person as you are. By keeping a motivation journal, we can assume that you’ve already set goals and mapped a path to accomplish those goals. You’ve remembered to set realistic goals with attainable increments. These should contain specific objectives with a time frame and deadlines. With no time frame or deadline you could find yourself floundering endlessly and never making any noticeable progress. This may be a good time to list lifetime goals for you. Where do you see yourself in five or ten years? These could be family lifetime goals, academic goals, even social and athletic goals. Again, it’s critical that you be specific. For instance, what grade average do you want to maintain, how far do you want to run or how much weight do you desire to lose? A journal enables us to see what we’re doing, thinking and feeling on matters that support our motivation. It’s almost like seeing yourself through another person’s eyes. You discover what’s going on inside your head when you write them down. Your thoughts, attitudes and goals become clearer when you can actually see them on paper. This shows what’s really important to you and helps you to maintain a positive attitude. Write down your successes and your failures. By doing this, we can analyze what went wrong and what went right. We learn what lifted us up to that success and gave us the motivation to do it. We also learn what lowers our motivation and what’s preventing us from succeeding. Make it fun and something you look forward to each evening when you make your entry. 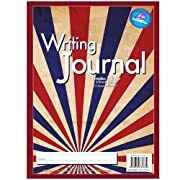 The journal can be simply written on any paper or you might enjoy purchasing a colorful journal with pictures that you can associate with your goals. It can be written in first or third person, depending on how you wish to view yourself in the journal. Is it about you or this person you’re observing as they climb and stumble each day? When you’ve accomplished your goals and your journal is complete, you’ll feel empowered to take charge of your life. (Actually, you’ll feel this before completion.) You’ve charted a new direction for yourself and saw it through to the end as you sifted through fears, doubts and worry. You can relive your successes and review what made you fall backward. Start a motivation journal today. You don’t want to miss a day of your new and exciting life.